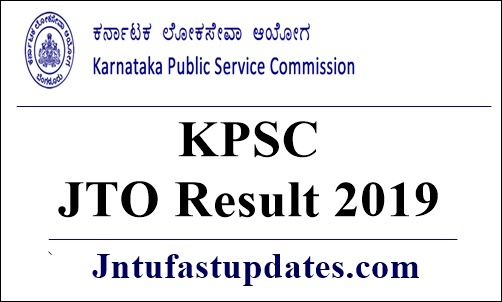 KPSC JTO Result 2019: Karnataka Public Service Commission (KPSC) conducted the Junior Training Officer (JTO) written test from 27th December 2018 to 4th January 2019 in various dates and time slots. A large number of competitors seeking to get state government jobs in Karnataka have competed for the JTO written test. All the hopefuls can avail the answer keys of the Karnataka JTO examination from the KPSC website, kpsc.kar.nic.in. Meanwhile, the result is announced, aspirants can estimate the score by tallying with the answer keys. It is possible to estimate the approximate score by comparing with the answer sheet. Aspirants keen to check the result need to wait few more days. Soon, the KPSC will announce the result date on its official portal. Competitors can wait for the KPSC JTO result, cutoff marks, and merit list. Check more details from the following article for more information. Karnataka Public Service Commission (KPSC) is the state government organization that releases various recruitment notifications to hire suitable candidates into various government jobs. The KPSC recently released a notification for 1520 Junior Training Officer posts and accepted applications from eligible and interested aspirants. Thousands of aspirants applied for KPSC JTO posts. The selection of candidates will be done through the written test and interview rounds. Candidates shortlisted in the selection process will get good pay scale by the Karnataka Government. All the competitors appeared for KPSC JTO written test in December/January months and waiting for the results can shortly expect the result. The KPSC is soon going to announce the result declaration date on its official portal, kpsc.kar.nic.in. Hence the competitors can stay visiting the KPSC official website for more updates. The organization will release the cutoff marks of the JTO examination. The cutoff marks will be defined by various factors such as level of competition, number of posts, and various other aspects. Candidates have to meet the necessary cutoff marks to get shortlisted for the next rounds. The KPSC will release the Junior Training Officer cutoff marks, merit list at a time. Visit KPSC website, kar.nic.in or click on the direct link provided below. On the homepage, search for Junior Training Officer result link.